We recently launched the latest Leatherman campaign, 'Tool Tales'. The campaign is based around sharing and showcasing real-life moments from fans around the world depicting how Leatherman tools have helped them save the day in harrowing to hilarious ways. 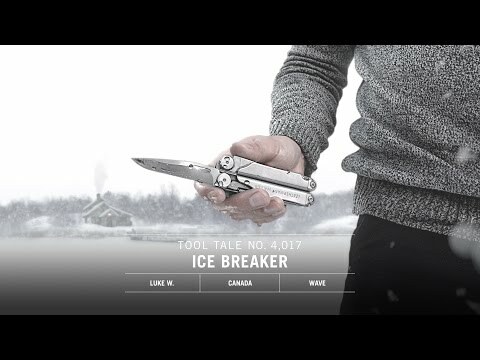 Ice Breaker Tool Tale: How a couples’ lives were saved by their Leatherman Wave after falling through the ice. There will be some great content from this campaign (videos, stories, images) that will be uploaded to our Leatherman NZ Facebook page between now and the end of the year. So why not check it out now.